Nick Hern Books is to publish a special hardback edition of current West End hit King Charles III by award-winning playwright Mike Bartlett, now on at Wyndham's Theatre following its acclaimed premiere at the Almeida Theatre, London. This special edition of the play, published in beautiful clothbound hardback, includes a foreword by the journalist and broadcaster Jon Snow, an afterword by the playwright, and an essay about the original production. It is due to be published on 30 October. Queen Elizabeth is dead. After a lifetime of waiting, her son ascends the throne. A future of power. But how to rule? Mike Bartlett’s controversial ‘future history play’ explores the people beneath their crowns, the unwritten rules of our democracy, and the conscience of Britain’s most famous family. Drawing on the style and structure of a Shakespearean history play, and written largely in highly accomplished blank verse, King Charles III opened in 2014 at London’s Almeida Theatre, directed by Rupert Goold, before transferring to the West End. 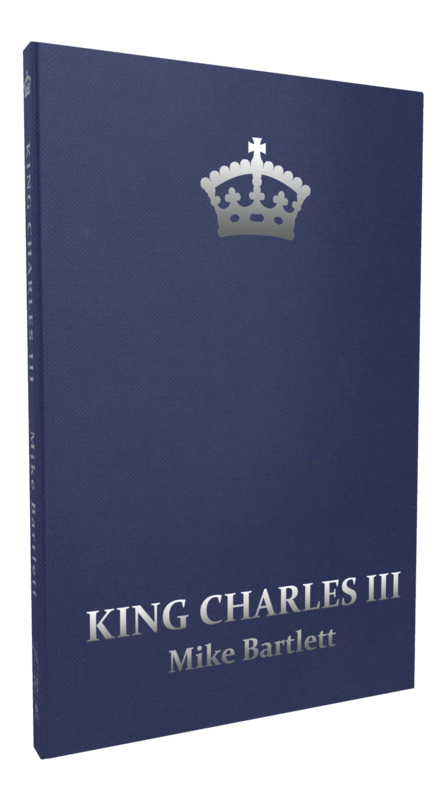 King Charles III: Special Edition is out 30 October. Pre-order your copy here. Rona Munro's vividly imagined trilogy The James Plays has been shortlisted for the annual Saltire Society's Literary Book of the Year Award. Widely regarded as Scotland’s most prestigious book awards, the Saltire Literary Awards are organised by the Saltire Society, a non-political independent charity founded in 1936 which has membership branches throughout Scotland. Rona Munro's The James Plays trilogy, first seen at this year's Edinburgh International Festival, brings to life three generations of Stewart kings who ruled Scotland in the tumultuous fifteenth century. Praised as 'an astonishing dramatic achievement' (Telegraph) and 'a modern classic' (Evening Standard), the trilogy transferred to the National Theatre, London, in September. There are five categories at the Saltire Society Literary Awards. The winning book from each will go on to compete for the coveted Saltire Scottish Book of the Year Award, which is accompanied by a £10,000 cash prize to the winning author and is sponsored by Creative Scotland. The winners of all award categories will be announced at a special ceremony on 11 November. For more information about the Awards, and to see the other nominees, click here. To celebrate The James Plays' Saltire Society Literary Awards nomination, we're offering a special discount on the book when purchased via our website. Get 25% off plus free UK p&p - just use the code SALTIRE at checkout. This offer is valid until 11 November 2014.